subText Music and Media Arts Association (subText) produces and presents contemporary non-commercial music and media arts. 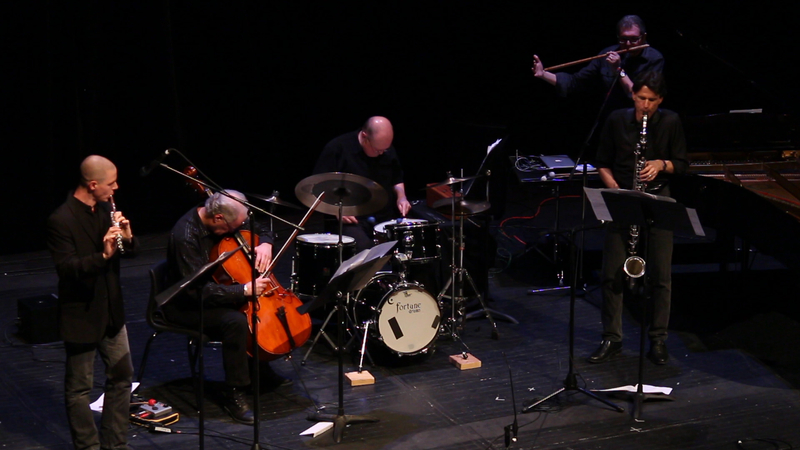 Our core ensemble is five of Atlantic Canada’s foremost improvising-composers: Christoph Both, cello; Derek Charke, flutes; Steven Naylor, piano/seljefløyte/electronics; Jeff Reilly, bass clarinet; and Tom Roach, drums/percussion. Steven is also subText’s Artistic Director. We have self-produced concerts, collaborated with guest artists (music and live video), and performed in the Open Waters Festival, TD Halifax Jazz Festival, and Shattering the Silence Festival. subText’s continuing mission is to expand the reach of contemporary creative music.